125 of 132 people found the following review helpful. I did my research prior to replacing my 13" MacBook Pro. I had it for less than two years and barely used it because I had the same exact laptop for work. I figured I'd offload my personal MBP since it was in mint condition and get something a bit more suitable for my uses. I don't cut video, I don't record music, I'm not editing photos. The MBP was too much machine for me and it was going to waste. I surf the web, watch Netflix, check email, and - of course - shop on Amazon. I was also seeking more portability; I wanted something I could carry in my backpack every single day and not even know it was there. Since I'd be carrying it day in and day out, I wanted a laptop with a battery that would last. I found all of those things in the 12" MacBook. It's a laptop that's ACTUALLY the size of a notebook. It's speedy, well-designed, and appealing to the eye. I see a lot of folks commenting on the new keyboard but I've had no issues with it. With a new design will obviously come a learning curve. I've been typing on it all day and, to be completely honest, I can't tell the difference from my MBP. I also see comments about it's speed. To those people I ask this: what are you using this thing for? You can't buy this laptop and expect it to be a video editing powerhouse. That has NEVER been the job of a baseline MacBook, so why would you expect that to change? Apple invented the Pro series MacBooks for all of you that were seeking something with more horsepower to edit video, photos, etc. Stick with that. Finally, I have to comment on the speakers. This thing sounds REALLY good for it's size and also in comparison to my 13" MBP. I kinda can't believe it. As a musician, I'm impressed with the audio it pumps out. I don't want to hear from the folks who say you can get a PC for much less money and do the same things. I know you can. But does it look as good? Does it operate as flawlessly? Will it last as long? Will it work seamlessly with my iPhone? No, no, no, and no. Been there, done that. All in all, this is a well-designed piece of technology. I absolutely love it and would recommend it to anyone seeking something portable for light duty work. If you know what you're buying, this laptop is a homerun. 198 of 213 people found the following review helpful. I actually purchased this directly from the Apple store, but I love it. 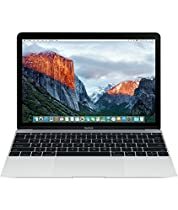 I held off buying the 2015 version for a year because I was concerned about the size (12 inches almost seeming too small for a laptop), the new keyboard, a single port, and the capabilities of the Core M processor as opposed to an i5 that comes standard in the MacBook Airs and MacBook Pros. So, this is a review written by someone who's owned, multiple PC's, a 2015 13" MacBook Air, and a 2015 13" MacBook Pro. First of all, I'll address the keyboard. I had tapped on it in the Apple store a few times and wasn't exactly impressed. Coming from the phenomenal keyboards of the MacBook Air & Pro, it seemed to different. However, after using it for the last few days, I have to say it feels amazing to type on. While you don't get the travel that you do in a MacBook Air or Pro, you do get a satisfying *click* from each keystroke. Second is the trackpad. If you've used the 2015 MacBook Pro, you know that the Force Touch trackpads keep the incredible accuracy and satisfyingly smooth glass finish of older MacBooks, but with a much improved clicking mechanism that allows you to "click" anywhere on the trackpad easily. The MacBook continues that awesome tradition. Third is the screen. Like the new MBP's, this computer has the Retina screen which is gorgeous to look at. It's plenty bright, and the thin bezels really make it feel like the screen is larger than it is. Fourth is the processors. I'd heard that the 2015 Core M's were a little weak, but the 2016 model I purchased (256GB / Core M3 configuration) performs almost as good as my 2015 MBP with a Core i5 processor. I've opened programs such as PhotoShop, iTunes, Word and others with little to no lag, and I'm able to open 10 tabs easily with active webpages. Fifth is the battery life. I'd been concerned about the 2015 models because they only had 9 hours of battery life, but the 2016 versions have bumped that up to a solid 10, and so far I've been able to achieve that number while web-surfing with about 70% screen brightness which is about perfect for indoor usage. Sixth is the single port. I expected this to be a turn off, but the truth is I've barely noticed it. 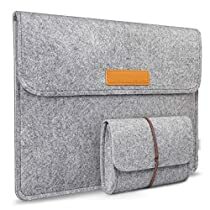 I did purchase a dongle which would allow me to plug a USB 3.0 into the computer, but in 2016 I rarely need to do anything like that with my ultraportable laptop like this one. Most peripherals like printers, mice, iPhones, etc...can connect via blue-tooth or other wireless means, so Apple was actually kind of smart in setting it up this way. Would an extra port be nice? Sure. But it wasn't a deal breaker for me. Summary: So, if it isn't clear by now, I love this laptop. But, you need to know what it IS useful for and what it ISN'T useful for. This, in my opinion, is a great secondary laptop. I use it as a mobile platform to avoid lugging around my much heavier MacBook Pro. It doesn't have multiple ports, it doesn't have a super-strong processor, and it isn't going to suit your needs if you're a power user. But if all you're looking for is something to be ultra-mobile and perform almost as good as a regular laptop, then it is perfect. I use it mostly in class to take notes on, surf the web, type papers, do a little light-editing of photos, listen to music, and things like that. If that's what you're looking for, and you can afford the price, then I say it is very worth it. P.S.- the speakers are phenomenal. Hands down the best in the Apple laptop lineup. 109 of 118 people found the following review helpful. I communicate on several Mac Internet forums. Someone on one of the forums told me, "You will love the Macbook so much that you will put the older Macbook Pro on the back burner." That person was correct. I much more prefer typing and working on this new Macbook than the Pro model. It doesn't get hot on my lap. It's not heavy. And really, I love the responsiveness of the butterfly keys. Oh, and Space Grey is a remarkable color.